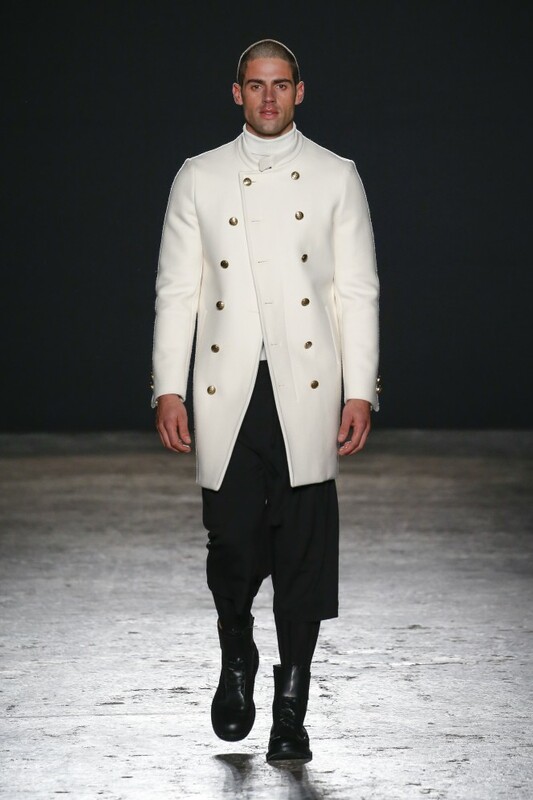 Last season Milan Vukmirovic, artistic director of Ports 1961’s men’s collections, presented his man as a traveller, a gang of voyagers yearning for exploration. 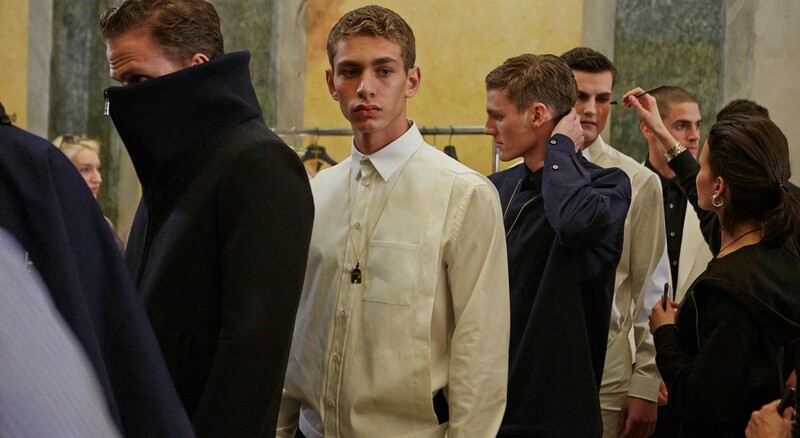 This season it was about metaphorical freedom, liberation of the mind. A journey that can’t be valued in measurements. 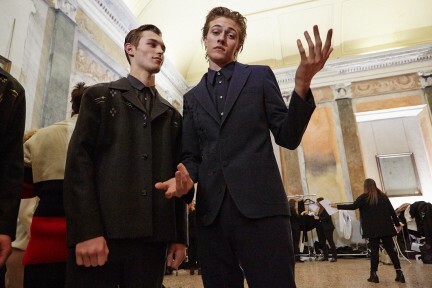 Now onto his third menswear collection with Ports 1961, Vukmirovic enlisted the help of Ukrainian dancer Sergei Polunin to open his FW16 collection with a specially choreographed ballet performance interpreting themes of freedom and individuality. These are issues Polunin knows only too well, for having joined London’s Royal Ballet at the tender age of seventeen, and swiftly catapulted to the role of principal dancer two years later, he left in 2012, in pursuit of greater personal freedom. Juxtaposing strength and fragility, Polunin’s performance translated aptly onto the FW16 collection it preceded. Rooted in Asian heritage the collection moved through samurai inspired pieces enveloping the body – often collarless or tied at the side in traditional kimono fashion – to white shirts adorned with oriental print details. The monochrome palette came punctuated with blue, green and red – a nod to Chinese lacquerwork, an ancient skill dating back to China’s Han dynasty. “The idea here is defence rather than aggression, suggesting the self-confidence to face anything in life” read the show notes. Subtle refinement was key here, armour for the mind as much as the body.